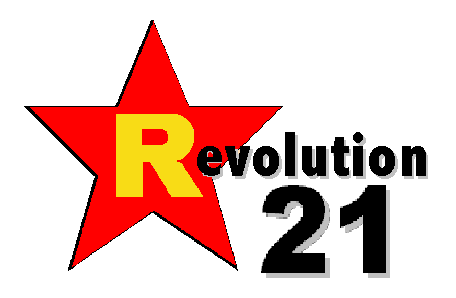 Revolution 21's Blog for the People: How'd we stereo on radio before there was stereo radio? How'd we stereo on radio before there was stereo radio? The era of FM stereo radio began in June 1961, but the era of hi-fi stereo radio dates back to the 1950s. But in the days before FM multiplex broadcasting, listening to stereo radio required two stations . . . and two radios, one AM and one FM. Or you could just buy a "binaural" AM-FM stereo tuner -- two dials, two tuning knobs, and in stereo mode, it would play AM and FM at the same time. What in the world would that have sounded like in, for instance, 1958? Let's take what we know about the capabilities of AM broadcasting and FM stations in the '50s, then see whether we can re-create the binaural AM-FM stereo experience. It's November 1958. You're in Baton Rouge, La. 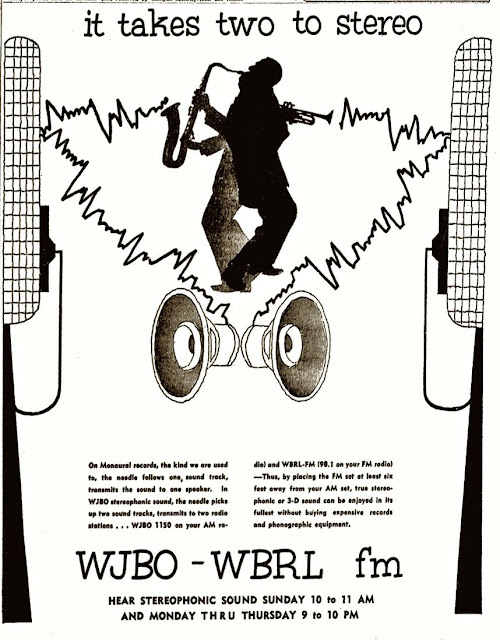 It's 9 p.m. on a weeknight (Monday through Thursday), and you're in the mood to hear some WJBO "3-D" stereophonic sound on your new hi-fi setup. ON YOUR NEW binaural high-fidelity tuner, your tune in 1150 on the AM dial. Left channel, check. On the FM dial at 98.1 megacycles, you tune in WJBO's sister station, WBRL. Right channel, check. Now it's time to sit back, relax and experience "music in three dimensions." For those of us back here in the future, the result sounds better than you would think. 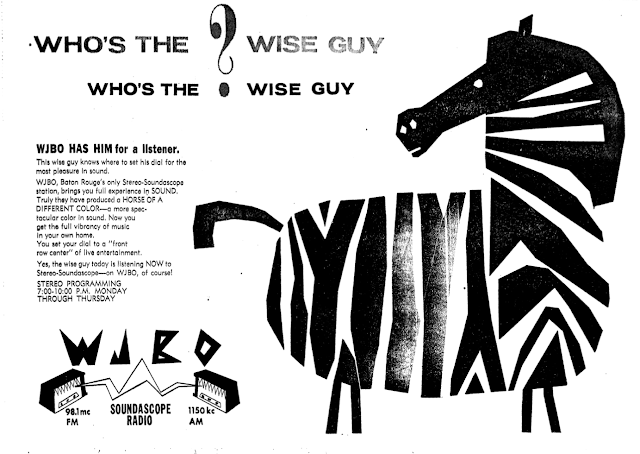 Then again, so did AM radio in 1958. It's amazing what could be done with a wider AM bandwidth, owners who cared and well-engineered radios in listeners' homes. I HOPE the following video demonstrates that, as I try to re-create what the WJBO-WBRL, AM-FM stereo pairing might have sounded like. I can't tell you how many times I redid this, trying to get the AM sound "right" . . . AM heard over excellent equipment, much better than what we're accustomed to today, from an era decades past. I KEPT redoing this because I kept thinking, "No. This sounds too good. This can't be right." And I kept saying this as someone who has a couple of AM-FM hi-fi tuners made in 1960 and knows that some amplitude-modulated stations, to this day, sound pretty decent on a true wideband tuner. This, despite the Federal Communications Commission -- in order to lessen interference and shoehorn more stations onto the dial three decades ago -- putting brick-wall limits on AM stations' frequency response out of the transmitter at 10 kHz. A young person with good hearing can perceive frequencies up to 20 kHz. But in 1958, many AM stations' transmitters had a frequency response almost as good as FM stations. FM's big advantage was in improved dynamic range, a lower noise floor and, as Steely Dan sang, "No static, no static at all." Below is a rough representation of the frequency response of the "AM side" -- the left channel -- of the video above. YOU'LL NOTE that I rolled off the low frequencies, just like a typical AM signal, then sharply rolled off the high end right below 15 kHz. I also bumped up the equalizer curve here and there to "sweeten" the sound a little, as an engineer would have done with even the rudimentary audio processing of the day. I tried not to overdo it. After all, I was worried that it sounded too good; I still wonder what I missed. Too, the AM channel is more processed -- more compressed and a bit "louder" -- than the FM track. The reason? The easy answer is "That's what AM does." The longer answer involves an attempt to, first, mimic the lesser dynamic range of AM broadcasting and, second, reflect that AM stations were much more heavily compressed and "hard-limited," because loudness equals distance and listenability on the noisy AM band. Oh . . . I also added some "AM noise" to the "AM side" of the recording. Not too much, I hope, and not too little, either. On the "FM side" of the soundtrack, I frankly worry that the audio may be too processed. Alternatively, however, if I were a chief engineer or a program director in 1958 and my AM-FM combo was going to dive into the "binaural stereo" thing . . . I'd want the FM side to match the AM side at least somewhat for loudness. THAT'S IT for the technical and audio-geek minutiae. I doubt a normal person could stand much more. Even if you're not a full-bore nerd like me, I hope you've still found a little fascination in this esoteric inquiry into one of the more forgotten aspects of hi-fi and broadcasting. A phenomenon that births advertising like this (from 1959, after WBRL had changed call letters to WJBO-FM) -- not to mention a moniker like Soundascope Radio -- can't have been a total bust. Chicago was years ahead of you. 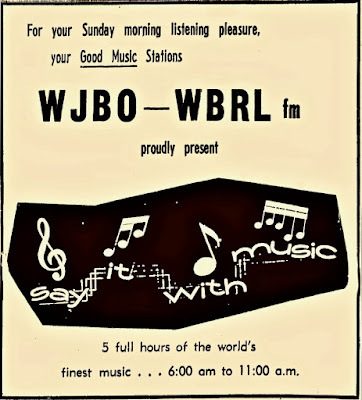 WMAQ was doing live stereophonic broadcasts on AM and FM as early as 1953 with a series The Northerners, and added in 1954 a series New Dimensions. Unfortunately the existing recordings are mono mixes.